The National Observatory for Human Development is an independent body established with the Head of Government. Its permanent mission is to analyze and evaluate the impact of projects, programs and actions of human development in Morocco. 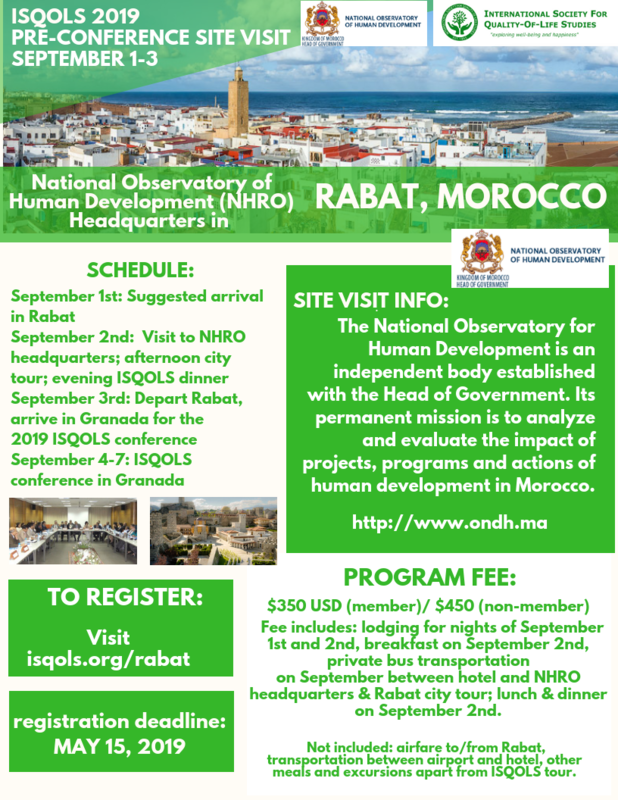 Fee includes: lodging for nights of September 1st and 2nd, breakfast on September 2nd, private bus transportation on September between hotel and NHRO headquarters & Rabat city tour; lunch & dinner on September 2nd. Not included: airfare to/from Rabat, transportation between airport and hotel, other meals and excursions apart from ISQOLS tour.